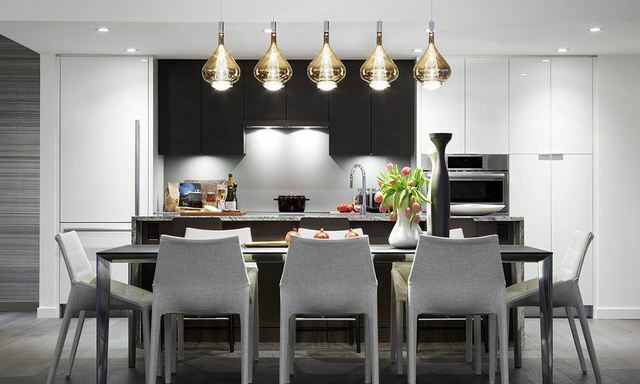 Move to Olympic Village: NAVIO in False Creek by Concert Properties by Quebec & 1st Avenue! This bright & air-conditioned 1 bedroom + den condo has 572 SF of spacious living and a great corner window. Features high-end finishings with air-conditioning, wide-plank hardwood floors, contemporary kitchen, Bosch stainless steel appliances, quartz countertops & backsplash, new light fixtures, custom roller blinds, in-suite laundry & east facing covered balcony. Even the luxurious ensuite includes Nu-Heat in-floor heating. Home comes complete with 1 parking spot and the balance of the 2/6/10 Year New Home Warranty. Great complex with concierge service, fitness centre, 2 private resident lounges, rooftop garden & live-in caretaker.